Come train with a PAN & World Champion. At VENOM BJJ Academy , we are focused on providing WORLD CLASS service with the highest levels of customer satisfaction – we will do everything we can to meet your expectations. KIDS PROGRAMS ...should my child do BJJ? U-R-S.A.F.E.™ (Streetwise Able Fierce Empowered)---- is part of what I teach to children ages 4 - 12, and the 13 - 15 year olds. As well, all adult classes (16 years old and up) are taught similar, Bully Proofing, Self Defense Techniques and Strategies. Why do BJJ? Because BJJ changes lives through positive influence: Your child/children will gain self-confidence, discipline, respect, self-awareness, teamwork, and camaraderie. Most importantly, they will have FUN doing it. 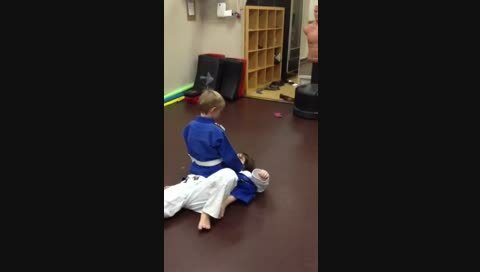 My personal philosophy is that BJJ combined with a self-defense “Bully Proofing” program should be a part of every child’s (and adult’s) weekly workout regimen. My training will educate your child on how to protect themselves; not by matching violence with violence but by using life skills, BJJ and Self Defense/ Mixed Martial Arts techniques to disengage, or to CONTROL a violent situation without escalating. However, as a martial arts instructor, I believe it is important for me to help provide your children with confidence , conflict resolution, and, if necessary, proven skills to deal with physical violence. Bryan Genesse has trained in BJJ for 14 years and is currently an active Black Belt under Master Jean Jacques Machado (Coral Belt). As well, Bryan holds a Brown Belt in Judo, and studied 3 years with Lance Gibson (UFC 24 Champion) on the competition Pankration/ No Gi team In Vancouver B.C. Bryan also holds 3 Black Belts in stand up martial arts. With his love of BJJ, Bryan has been fortunate to teach in several Academies in the US and Canada as well as choreograph fight scenes for feature films and TV Series. Brazilian Jiu-Jitsu (BJJ) is a martial art focusing largely on grappling and ground fighting. It utilizes natural body leverage and proper technique to obtain dominant control on the ground (or in a scuffle while standing), and as a result, provides greater positional advantage for striking or submitting opponents. BJJ has been proven, when used properly, to be an effective method for dealing with bigger and stronger opponents and has become increasingly popular, due in part, to its great success in the Ultimate Fighting Championship. And you can use BJJ training for self defense, sport grappling (in a Gi or with No Gi) and in mixed martial arts. 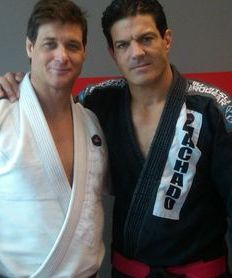 Worldwide, BJJ is being implemented in the training regimen of nearly every successful martial artist. Translated as: “the gentle art”, Brazilian Jiu-Jitsu uses leverage and technique to make smaller practitioners overcome a much larger, stronger more aggressive opponent.